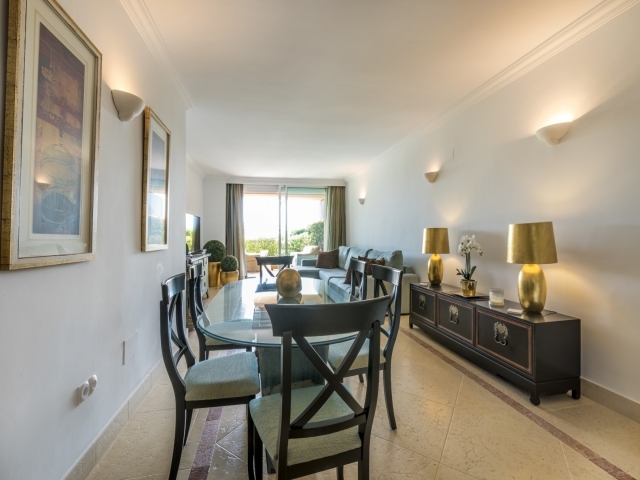 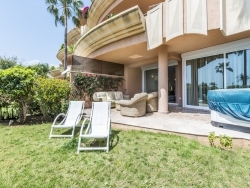 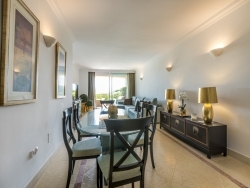 A well-presented ground floor apartment for sale in the luxury residential complex of Magna Marbella. Situated in the heart of the Nueva Andalucia Golf Valley, with a selection of golf courses on its doorstep, an excellent restaurant on site and 24 hour security, Magna Marbella proves a popular choice for couples, families and avid golfers. 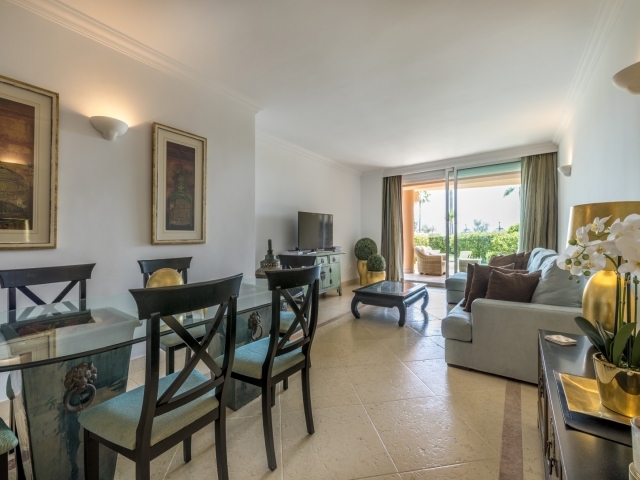 This ground floor unit comprises spacious two bedroom accommodation with an attractive contemporary style kitchen, a living/dining room, master bedroom suite, guest bedroom with en-suite bathroom and a separate guest toilet. 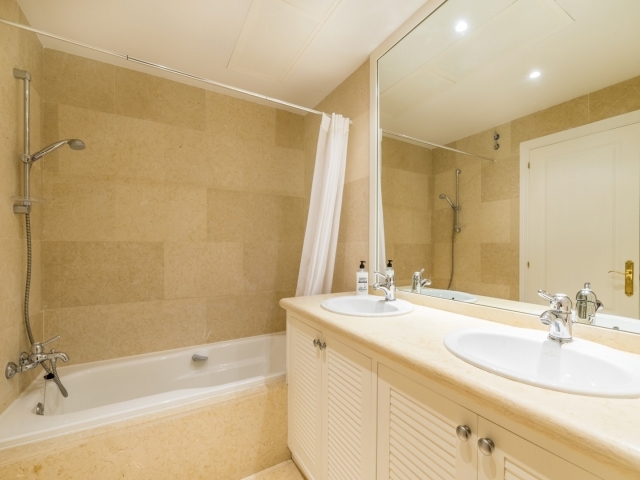 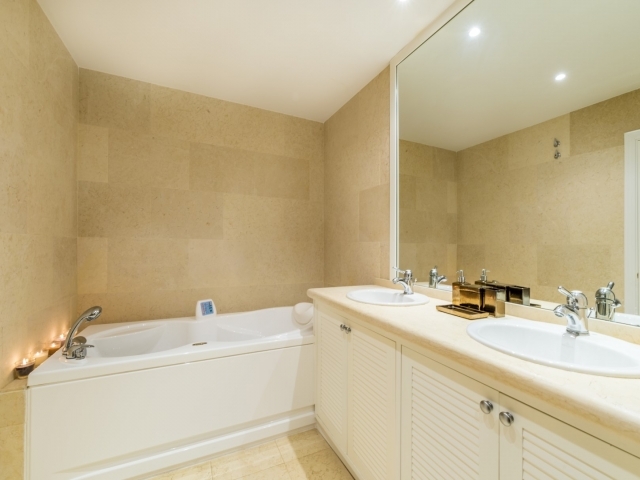 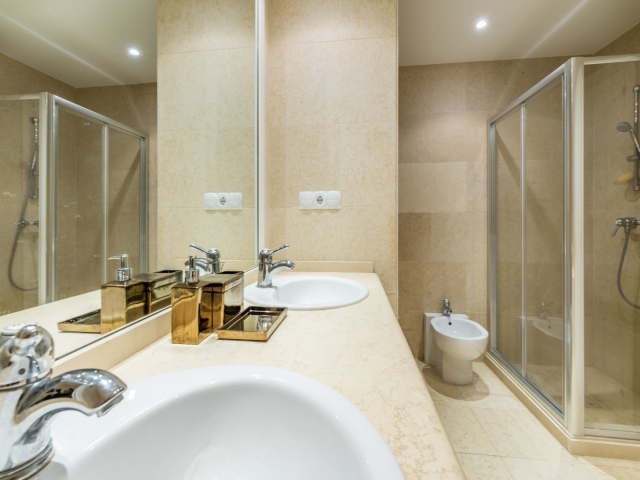 Both en-suite bathrooms have bath tubs; the master bathroom featuring a spa bath and separate shower. 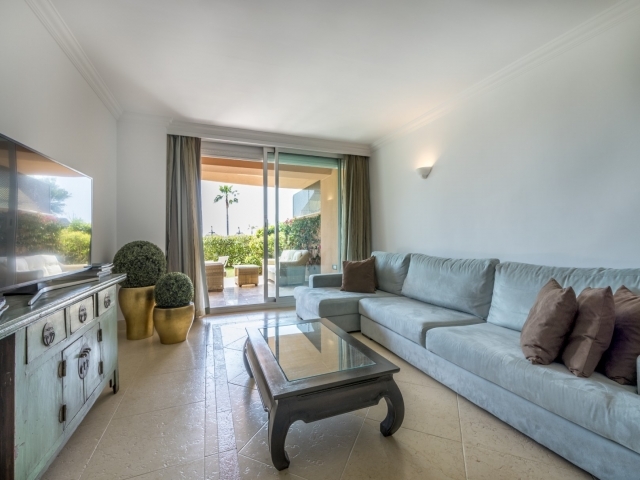 The living room and master bedroom provide direct access out to the terrace and garden with ample space for relaxing and dining outdoors. 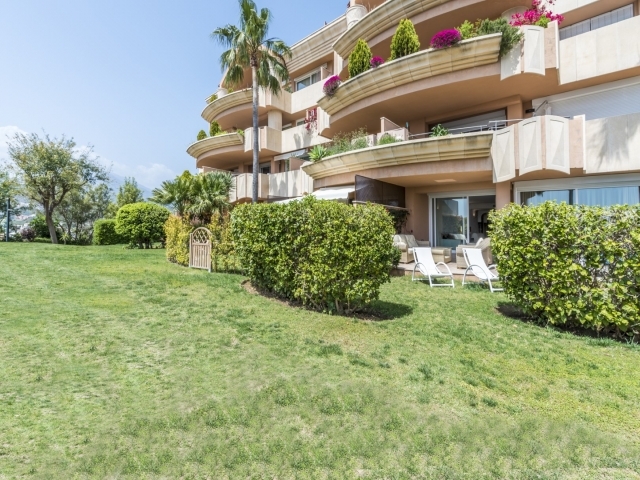 There are lovely communal gardens and swimming pool areas within the complex. 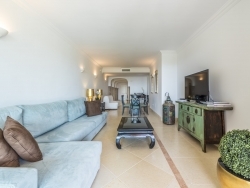 The property includes a designated parking space and storage room in the underground garage. 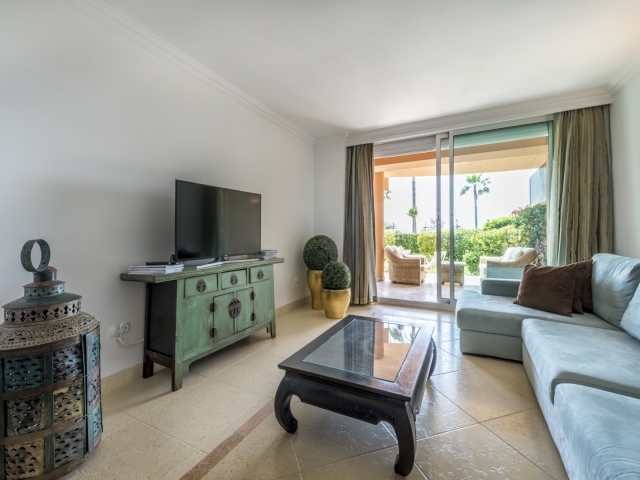 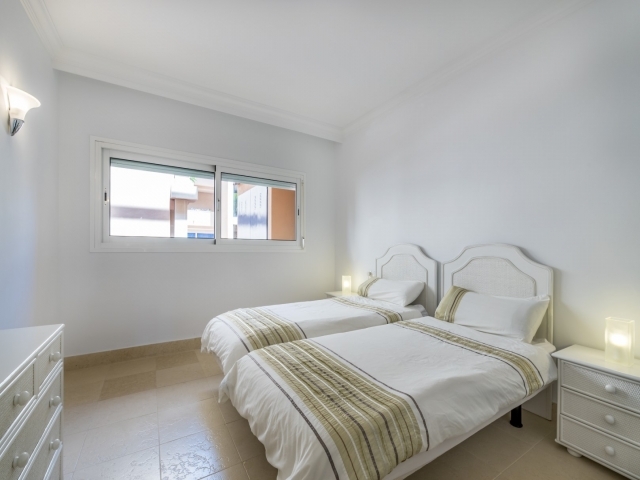 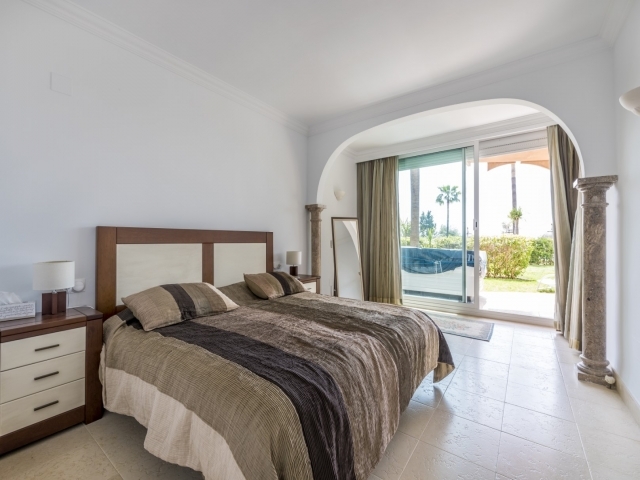 Located just a five to ten minute drive to all amenities including shops, bars, restaurants and international schools, Magna Marbella enjoys a convenient spot while also benefitting from peaceful and picturesque surroundings. 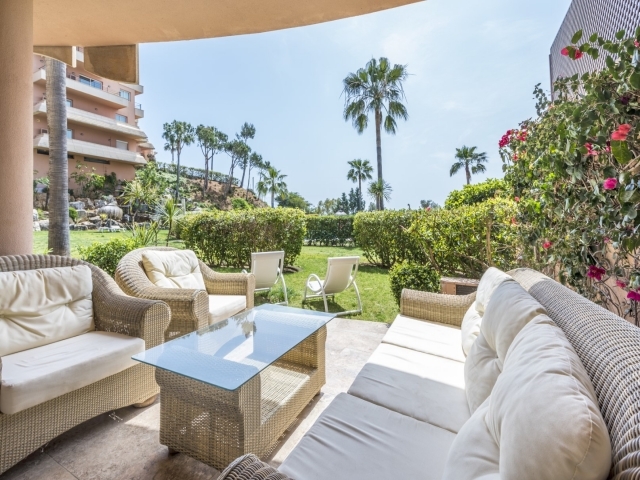 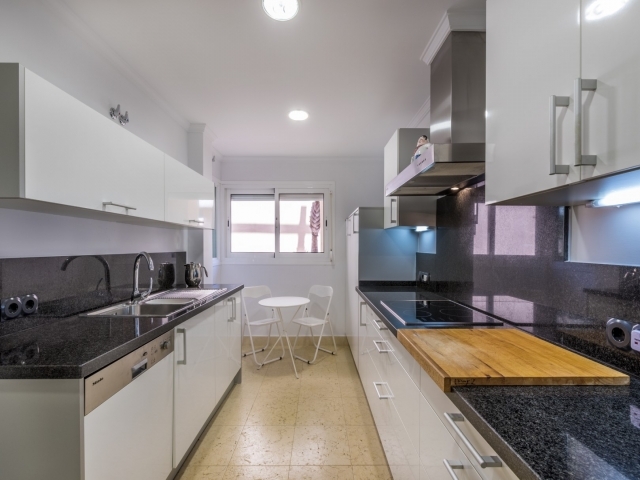 A fantastic prospect as a permanent residence, or equally as a holiday home, this is a rare opportunity to acquire a garden apartment in this ever popular complex in Nueva Andalucia.